These social entrepreneurs are working daily to bring change to their communities in impact areas all across the board. From increasing employment opportunities for those on the Autism spectrum and body positivity programs in the indigenous community, to providing hope and healing for first responders and veterans, we can’t wait to see how these organizations thrive in the SEA community. Read more about them and their stories on on the Social Enterprise Alliance blog. 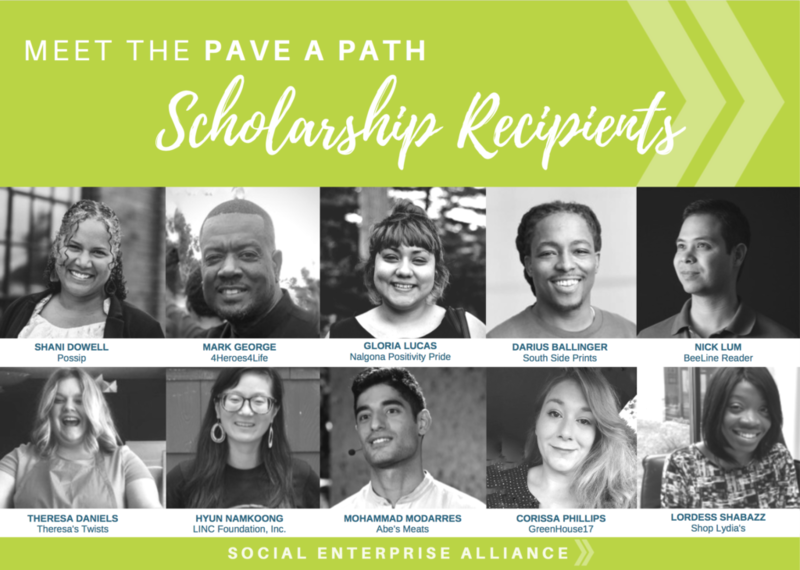 We had 115 social entrepreneurs apply for the Pave A Path scholarships and it was no easy task selecting just 10 recipients. Inclusive opportunities and supportive social enterprise communities are needed and highly valued in our sector. If you would like to make it possible for more world changers to have access to a Pave A Path scholarship, donate here. Every little bit allows us to carve more inclusive pathways for social entrepreneurs and offer more scholarships to the next cohort of applicants.